Avocados are jam-packed with healthy monosaturated fats, good for heart health, and rich in vitamin E which is great for the skin and eyes, and loaded with antioxidants. Many people worry about the calorie content of avocados due to its high fat content, but these are healthy fats that helps us to feel more satisfied. Avocados are best eaten when they are perfectly ripe. To achieve this, leave them at room temperature for anything up to a week and feel them gently from time to time. When ripe, avocados should feel slightly soft when you apply some pressure. If you don’t want to eat them straight away store in the fridge. 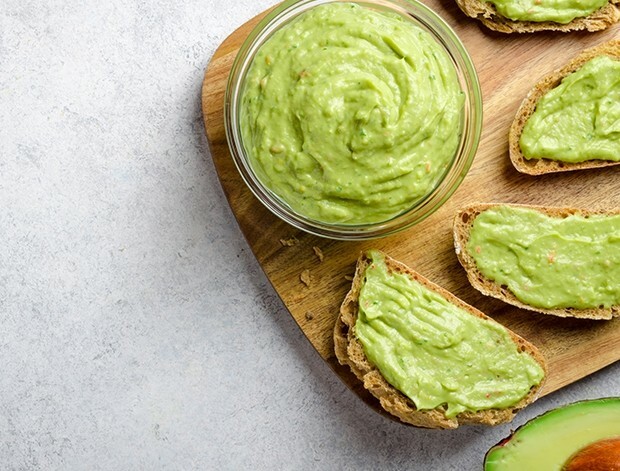 Avocado butter is the latest addition to our health eating. – simply blend together 1 avocado, 1 tsp extra virgin olive oil, lime juice, and a little salt in the food processor (or mash well). The lime adds a little acidity and helps keep the butter a pretty shade of green and you can add a tiny bit of chilli if you like a kick to your butter. Alternatively you can just layer avocado and tomato slices on toast or rice cakes for a quick option. 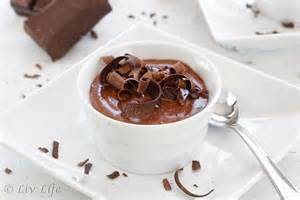 Other ideas for avocados include Avocado Chocolate Mousse, see below (still as decadent but much healthier), avocado smoothie with banana, nut butter and cocoa powder; or as a creamy dressing with tahini and lemon juice. A super healthy way to enjoy your favourite chocolate mousse, loaded with antioxidants, good fats, and flavonoids. It’s low in sugar and super easy to make. Combine all ingredients in a food processor until smooth and eat within an hour. ENJOY!